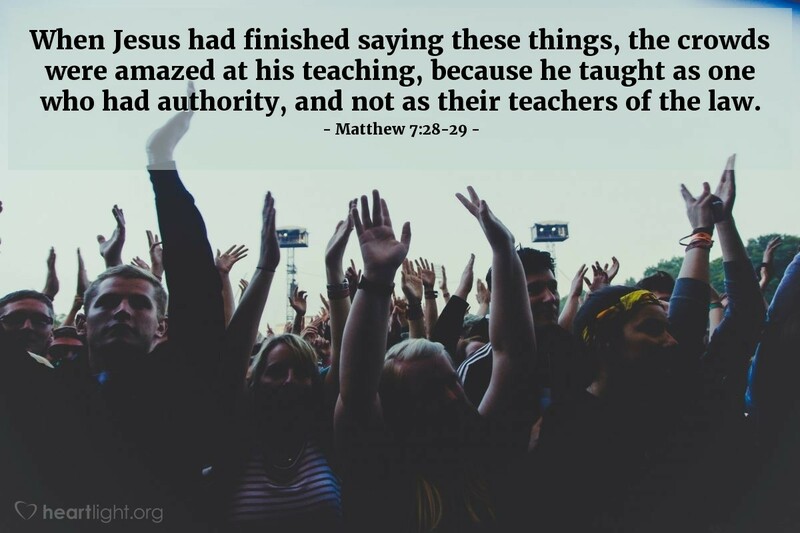 Unlike the teachers of his day, Jesus didn't have to shore up his teaching with obscure quotes from past teachers. Jesus, the Word of God, spoke the very words of God. He did and said what the Father willed. His life and his words had the ring of authenticity and an awareness of power that extend through the ages and beckon us to his truth. This Jesus, our Teacher and Lord, is different. His words are powerful. His teachings are true. So his will must be our passion! Holy God, thank you for speaking through your prophets and through your Scriptures. But, Father, I praise you for speaking your greatest message in Jesus. As I see the character of his life, I am drawn to you. As I hear the authenticity in his words, I seek to humbly obey. Thank you for sending Jesus to be my teacher, my guide, my Lord, and my Savior. It is in his name, Jesus, that I pray. Amen.